CONS 127 has no pre-requisites and is open to everyone interested in the exploration of innovative Earth observation and other geospatial technologies and how they allow us to better understand the changing Earth. THIS COURSE MEETS THE “UBC Arts Science Requirement” for Arts students. For more information, contact Forestry Undergraduate Student Services at forestry.undergrad@ubc.ca or 604.822.1834. Whare are students saying about the course? 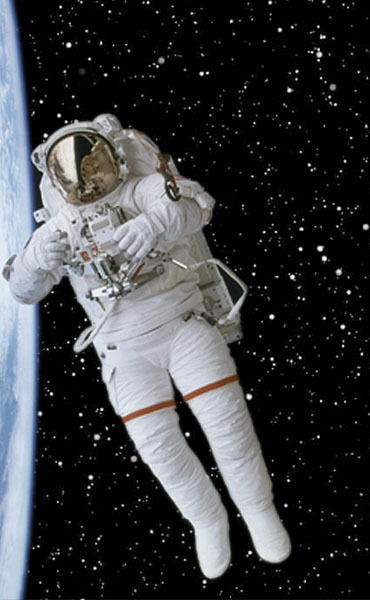 The adventures of Canadian astronaut, Chris Hadfield, have inspired a new generation of “space wonderers”; students interested and inspired by viewing the Earth from space, and what science and technological advances have come from humans moving into space. This course examines how innovative earth observation and other geospatial technologies are allows us to better understand the changing Earth, including how humans are impacting the planet and interacting with the environment and each other. The course will cover a range of space based technologies such as the use of remote sensing, global positioning systems, location-based services, virtual globes (like GOOGLE EARTH), web-based mapping and big-data geospatial analysis. A range of environmental change applications will be covered and the use of remote sensing to examine these changes demonstrated. Focus will be on Canadian environmental change. The course will introduce computer based skills and techniques for spatial thinking, image interpretation, and environmental decision-making as well as time for reflection on the images and how they can be used to inspire the general public. Shellito, B., 2011. Introduction to Geospatial Technologies. W.H. Freeman & Co. 469pp. Dicum, Gregory. Window Seat: Reading the Landscape from the Air. San Francisco: Chronicle Books, 2004. Print. Natynczyk, W., McQuarrie J., Hadfield, C., (2013) Earth, Spirit of Place: Featuring the Photographs of Chris Hadfield – Illustrated, Magic Light Publishing. Final Exam (in exam period) 30%.